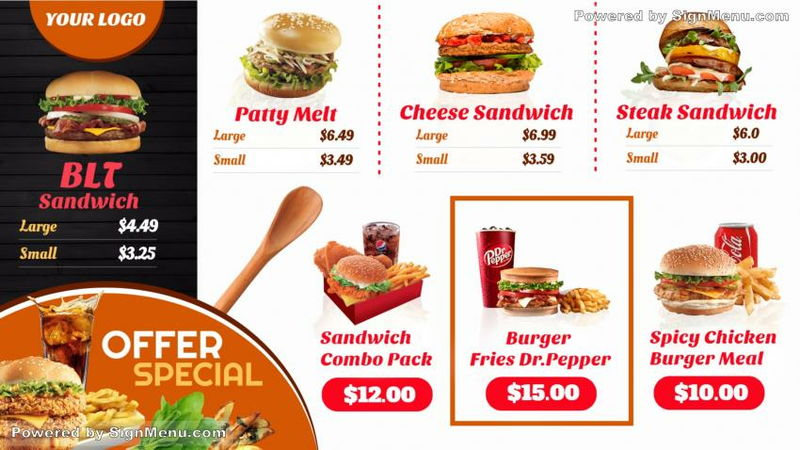 The take away menu board signage template is available online in white background. A portion of it is black and there is another color to highlight the special menu. The template can be downloaded for free where the font is a cute one. The clear sections on the menu along with the images can be tempting. The digital signage open source is quite helpful in promoting the business.